This statistic depicts the age distribution of Spain from 2007 to 2017. 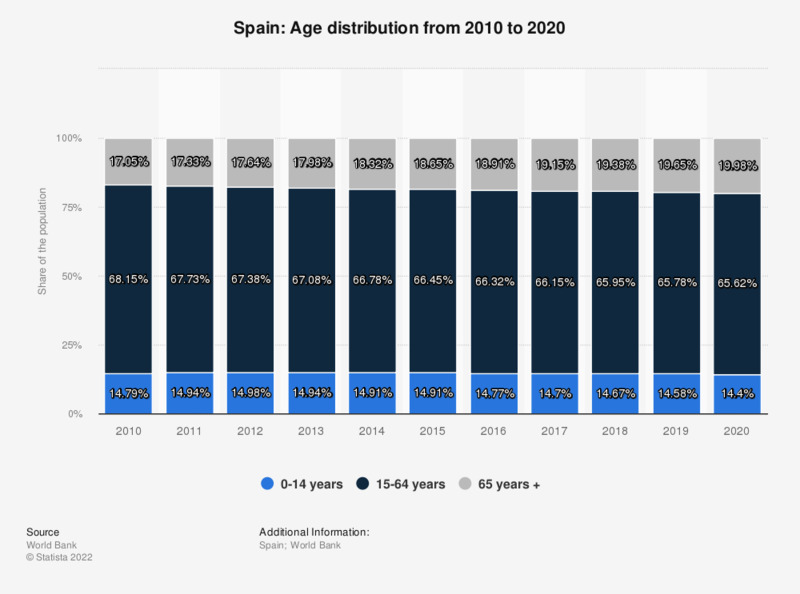 In 2017, about 14.69 percent of the Spanish population fell into the 0-14 year category, about 65.88 percent into the 15-64 age group and around 19.44 percent were over 65 years of age. Would you support passing at least some of Gibraltar's sovereignty over to Spain to achieve a much better Brexit deal? When Britain leaves the European Union, do you think the price of your own weekly shop will go up or down, or stay much the same?